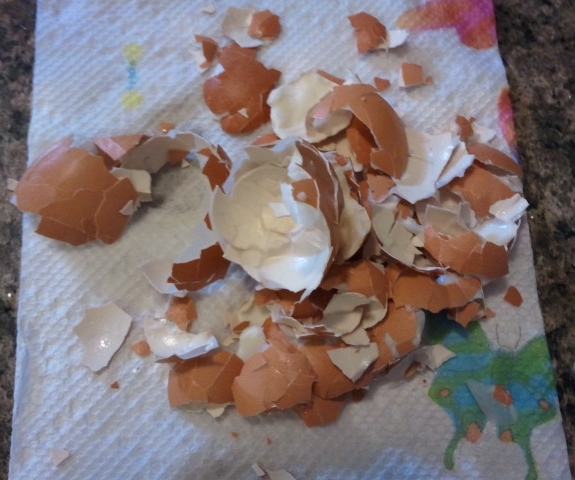 Here are my eggs and my shells after hard boiling using a teaspoon (or more) of baking soda. My conclusion: It's not worth the extra step. Well, it does make the eggs silky feeling, that actually makes it a little less displeasing for me to peel. 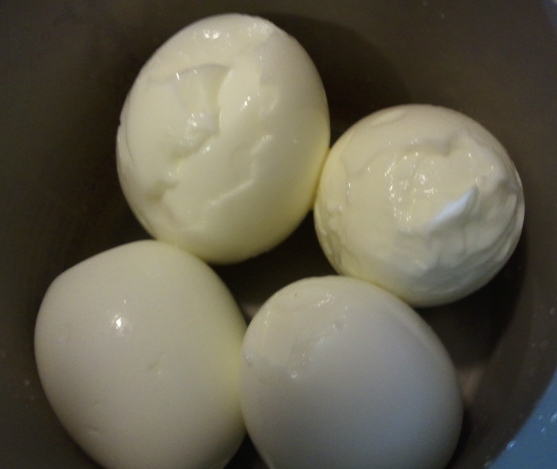 What I have learned over the past few decades of peeling hard boiled eggs is this: The fresher the egg, the harder it is to peel. The eggs I boiled today had been in the fridge about 6 days. Another few days and they would have peeled like the egg in the pinterest picture without baking soda.